Admittedly all has been slightly quiet on the blog front but we don't want you thinking we've been resting on our laurels! Instead we've been busy planning STRATODEAN Three, so here's a sneaky peak of the custom circuit board we've designed and had made. Early aims/ideas for STRATODEAN Three include a upwards facing camera to capture the moment of balloon burst and the inclusion of rotating servos. A lot of time has also been taken up with a STRATODEAN HQ move. That's right, we have a new abode complete with faster internet - yippee! 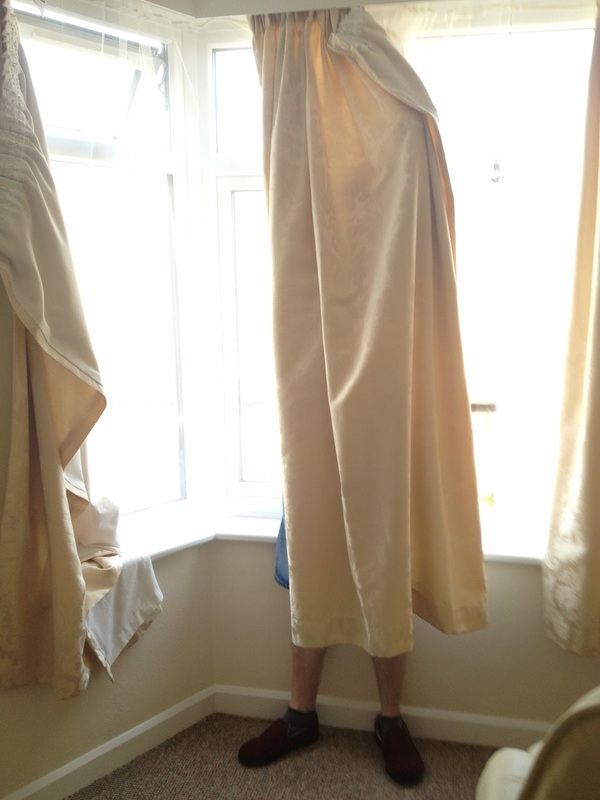 On the right is a photo of Mark putting up some curtains to act as proof of the move. "Hello! 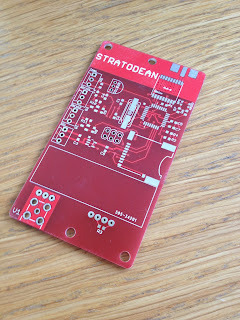 Hope you find our project interesting but no watching our STRATODEAN Two video as we'll be showing it on Saturday!"